One of our favorite days of the year is almost here! PEARLPALOOZA! Just as we do every year, we’re shutting down North Pearl Street, putting a stage at either end and filling it with live music all day! 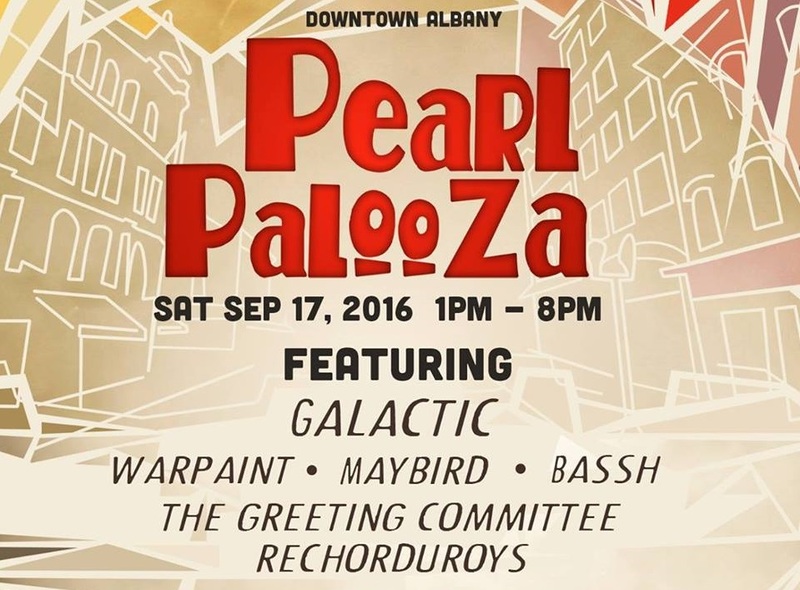 As always, Pearlpalooza is FREE and open to ALL AGES. The event runs from 1pm-8pm on Saturday, September 17th. There will be a variety of craft and food vendors on site, and yes, there will be beer too! Pearlpalooza is totally free, but it takes a lot of hard work and help from a lot of people to make it all happen. Huge thanks to our partners in this, the downtown Albany BID! RULES: No outside food or beverage, no glass containers, no dogs, no mean people. Small fold up chairs are OK to bring.